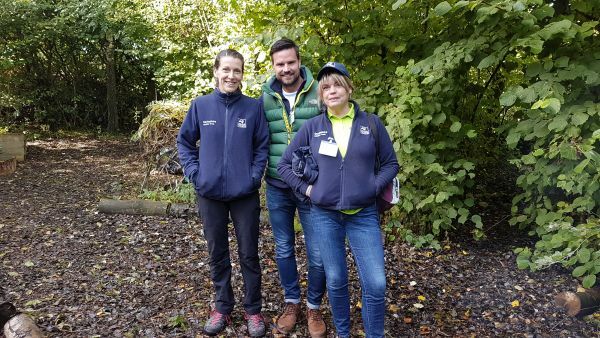 Derbyshire Wildlife Trust recently piloted its first ‘Wild Days Out for Business’, a unique programme that the Trust has developed to help businesses enhance team building, communication skills, promote wellbeing and encourage good mental health amongst employees. Sounds familiar, but what marks this programme out as unique is that all the profits are ploughed straight back into the Trust’s work with children! In our modern world where we spend less time in nature and where research has shown a direct link between mental health issues (a growing problem within the western world) many businesses now recognise the need to develop their staff through programmes such as the one offered by the Trust, particularly when they take into account that being outdoors has massive benefits for the health and wellbeing of their staff, therefore leading to a happier workforce and less days off sick. ‘It is vitally important that we get as many children as possible back to playing outdoors and engaging with nature. A recent report stated that the average prisoner spends more time outside than the average child – a shocking statistic. It is well known that spending time outside benefits our mental health and wellbeing and children need this opportunity as much as adults. They benefit from our Forest Schools, Nature Tots and Nature Babies in so many ways, so it is fabulous to have an income stream to fund many more of these activities that do so much to inspire the next generation’.